Following on from the success of yesterday’s post, advertising the AWDis range of Just Cool T-Shirts, I have put together a similar feature for our popular line of Hoodies from the same manufacturer. 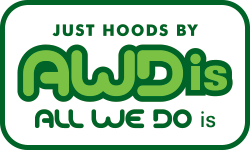 Although AWDis have a wide and varied catalogue, we have put together here a short catwalk show and a brochure that introduces some of their Hoodies range, including zipped, childen’s versions, ladies and two tone, as well as the standard ‘unisex’ design. The last four pages of the brochure gives interesting and useful information about available colours and size comparisons with international standards. Once again, we hope that you enjoy the show.